ORO Restaurant & Lounge located in the heart of Downtown Raleigh, is a fun, chic, and casual restaurant in the PNC Building at the corner of Martin and Wilmington Streets. 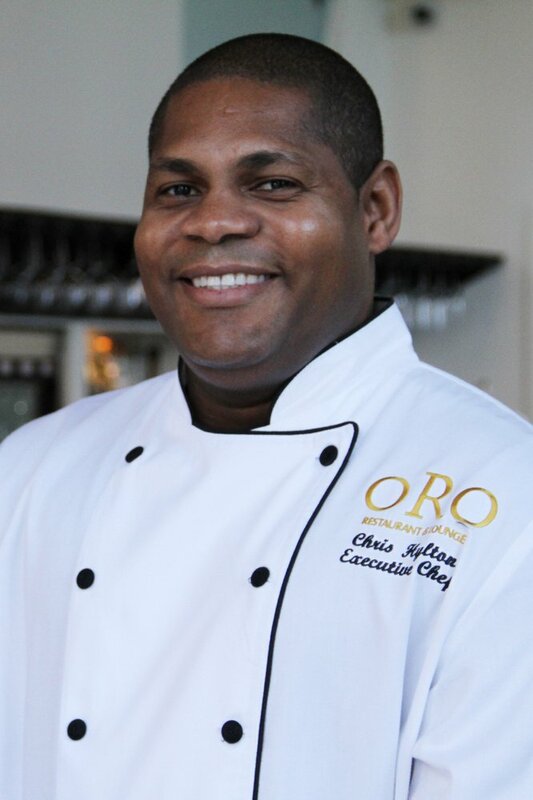 Chris (Chef Hylton), an immigrant from Kingston, Jamaica, began his culinary career in Los Angeles, CA at age 18 and most recently came to Raleigh from Washington, DC where he was the Executive Chef at OYA Restaurant & Lounge. Prior to making his way to the east coast, Chef Hylton held a number of culinary and management positions at various restaurants in Los Angeles including Mobay, Kas-bah, and Linq. His specialty is pairing recognizable foods with international flavors and ingredients to create unique dishes that are powerful in flavor and beautiful in design. 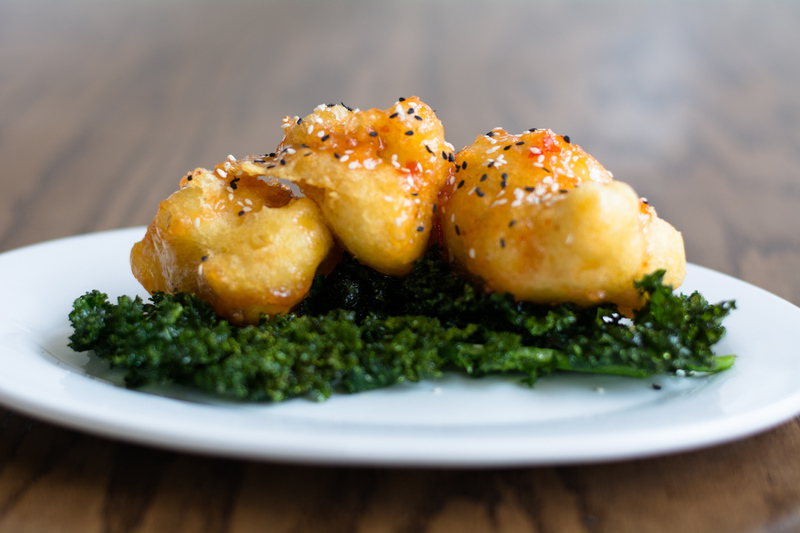 Chef Hylton uses local and seasonal ingredients whenever possible and is constantly evolving the menu to include the latest in food trends and seasonal delicacies. His culinary success has been documented and featured in magazines and newspapers from coast to coast. Chef Hylton’s passion to become a chef began to grow as a child and developed as he entered high school in Jamaica. Through an internship at Norman Manley International Airport in Kingston, Chef Hylton began with an internship cooking for travelers and pilots before their journeys. It was then that he realized he wanted to explore being a chef and knew he needed to chase this dream in the United States. At 17-years old, alone and determined, Chef Hylton arrived in Miami and began his relentless search for a new life and a new family in the culinary world. After making his way to New York and finally Los Angeles, he was able to work and learn in the kitchens of some of the best and most well known chefs today including Marcus Samuelsson and Michel Richard. His persistence and drive coupled with his passion to be a part of the culinary world, continued to drive him closer to his ultimate goals. His story is not one of ease and education, but rather one of determination and persistence to create and live the life of which you dream. As the current Executive Chef and Owner of ORO Restaurant & Lounge, Chef Hylton brings his experience and training to each dish that he creates. With a strong understanding of Caribbean flavors and training in French technique coupled with the fusion of Asian flavors, each dish is recognizable, but special and powerful in its combination. Rather than offering individual starters and main courses, ORO serves dishes that are designed for sharing among friends and are brought to the table steadily and continuously throughout the meal. Excellent customer service and impeccable attention to detail are the hallmarks of ORO’s commitment to it’s guests. ORO serves dishes that are designed for sharing among friends and are brought to the table steadily and continuously throughout the meal.